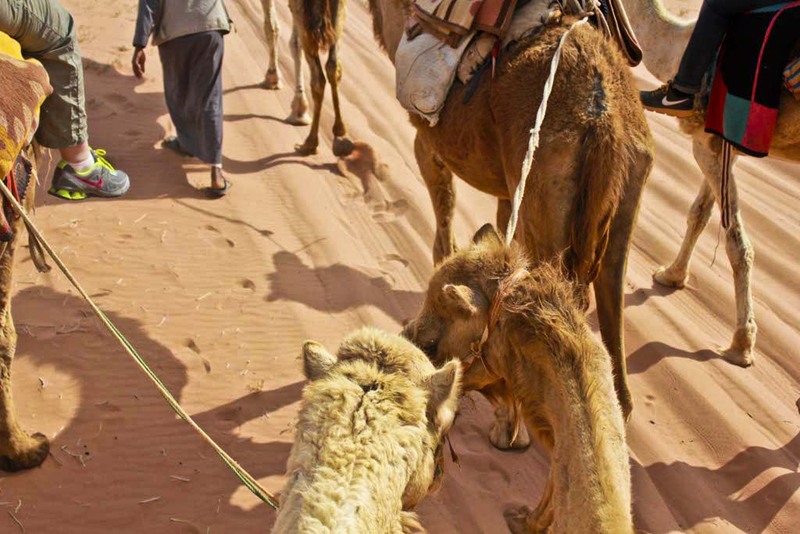 While most people envision a trek through Wadi Rum, Jordan atop a camel, fearlessly riding through the desert at high speeds, covering vast distances on the “ship of the desert”, in actuality it can be a lot more difficult than it appears. 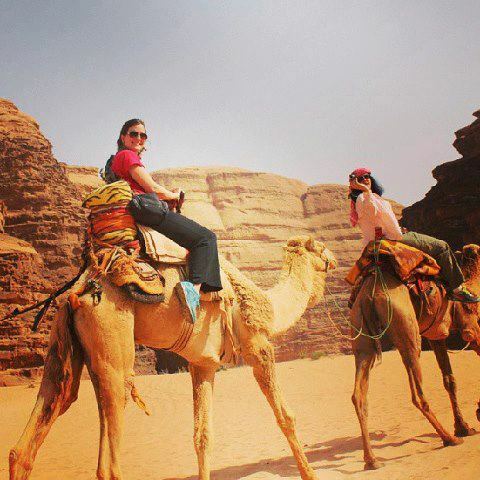 Wadi Rum… vast, open, and sandy was seemingly endless during our camel riding experience. An ordinary riding camel will normally saunter at about 5 km/hour; perfectly doable, right? But what about when it unexpectedly runs? Could you control it? Could you stay on? Would you know what to do? We were given the opportunity to find out in Wadi Rum and it wasn’t as joyful as you’d expect. When I wasn’t given a “how-to” guide before my camel ride in Wadi Rum, I assumed it was because it was pretty straightforward. You sit on the camel, someone guides you through the desert, you look around, take photos, and arrive safely at your destination. It’s not as adventurous as say bungee jumping but it’s a unique, beautiful experience nonetheless; I was in for a different type of ride than I expected.